It’s nice to know that some American comforts exist all over the world. It’s hard to go anywhere in the world these days where you’re not too far from a Starbucks or a McDonald’s. I have mixed feelings about this. In some ways it’s a bit sad to see too much of the Western footprint everywhere and infringing on other cultures. On the other hand, McDonald’s has always been a reliable place where I could find a toilet that wasn’t of the squatter variety. Notice that all the prices are listed in the local currency which is NT dollars. 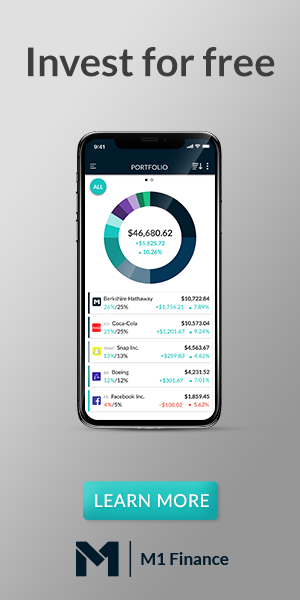 The conversion rate for US currency is 1 NT = 0.032 USD as of January 28, 2019. In other words divide prices by 32 for approximate US price. 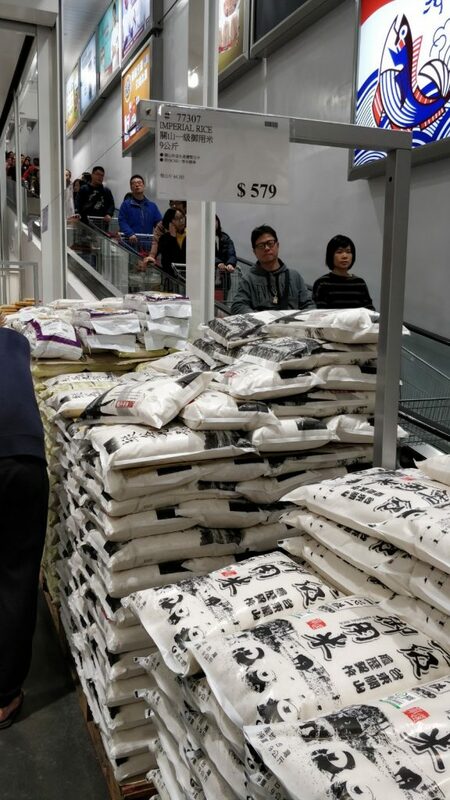 The entrance to a Costco in Taiwan is familiar enough with the addition of Chinese characters. 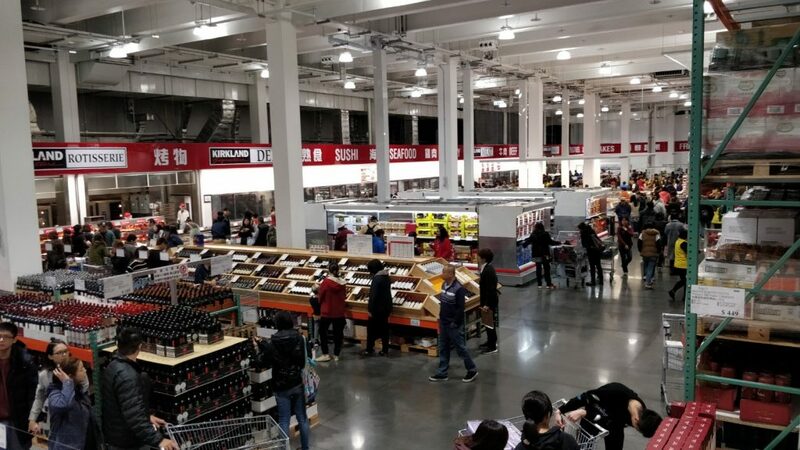 If you have a Costco membership in the US, your card works over here. 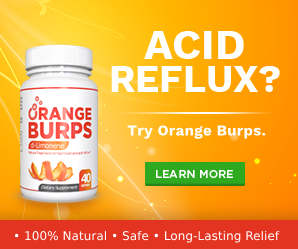 If you don’t have one signing up is cheap enough. Store layout is fairly similar with the membership signup near the entrance. Plenty of English makes this place easy for foreigners. The price for a new membership was listed as $1,150 NT for business member and $1,350 for Gold star member which exchanges to about $37 and $43 US respectively. Samples are still a plenty although the items for sample aren’t always exactly what American’s are used to. 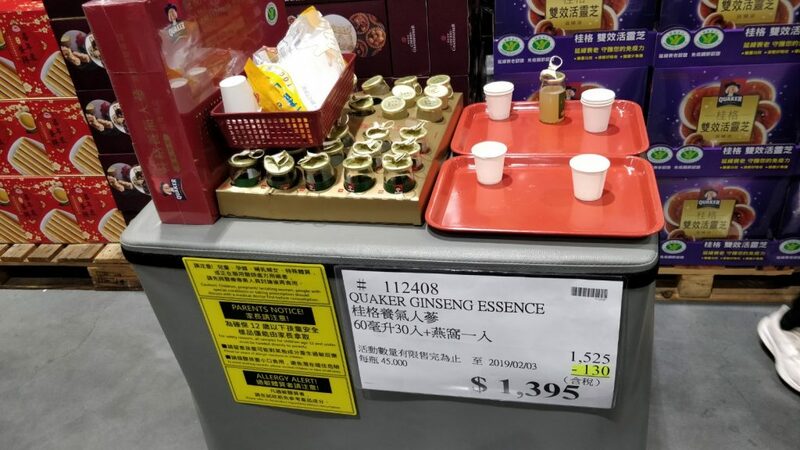 Plenty of Ginseng extract drinks are popular in Asia. 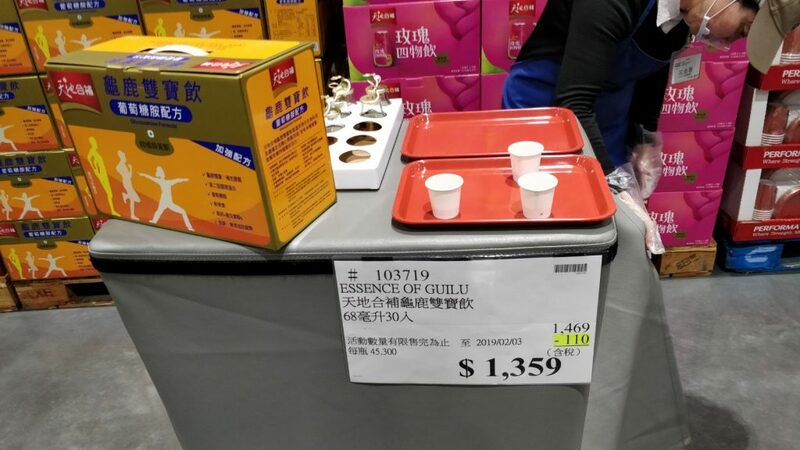 Essence of “Guilu” wasn’t really to my liking. Some type of root or something I suppose. 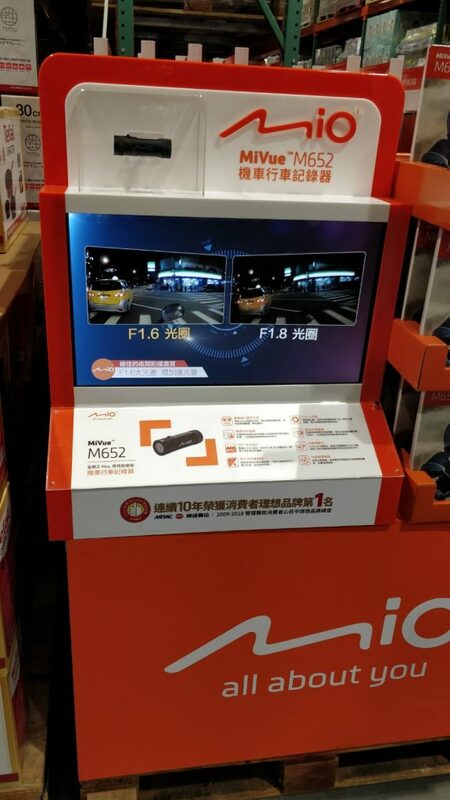 Road Cams are quite popular for many drivers in Taiwan. I understand ones of the reasons for this is if you get footage of someone breaking traffic laws, you can submit it to the government and get a portion of the fee they pay as a ticket. A group of people self policing themselves. The inventory had many American items but is also heavily customized to the local area. 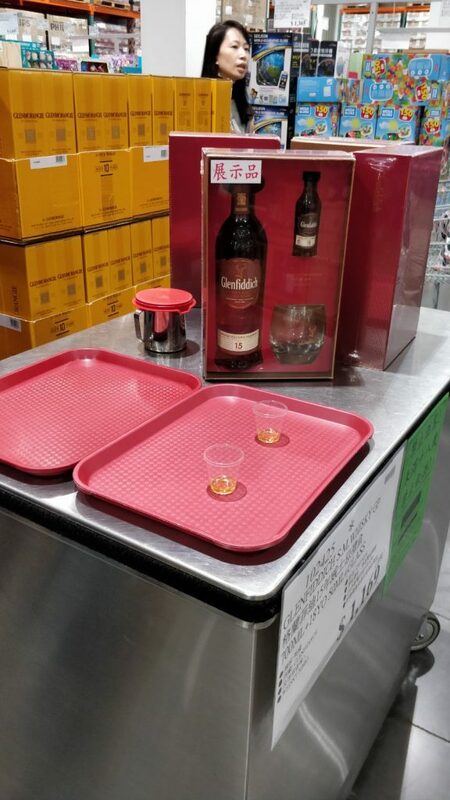 There’s a love for scotch here and I had a couple choices of scotch for sample at Costco. Nice. 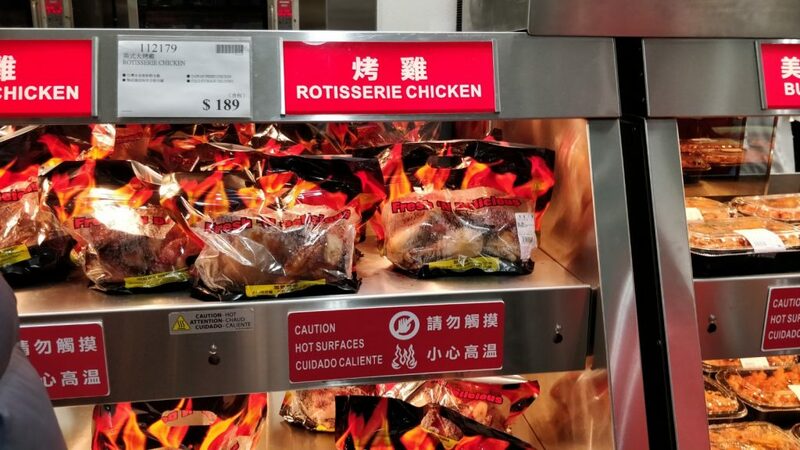 Costco’s famous cheap rotisserie chicken is available in Taiwan. Some familiar prepared food items exist that are common in the US. Perhaps the most important part of the Costco ritual remains in tact. 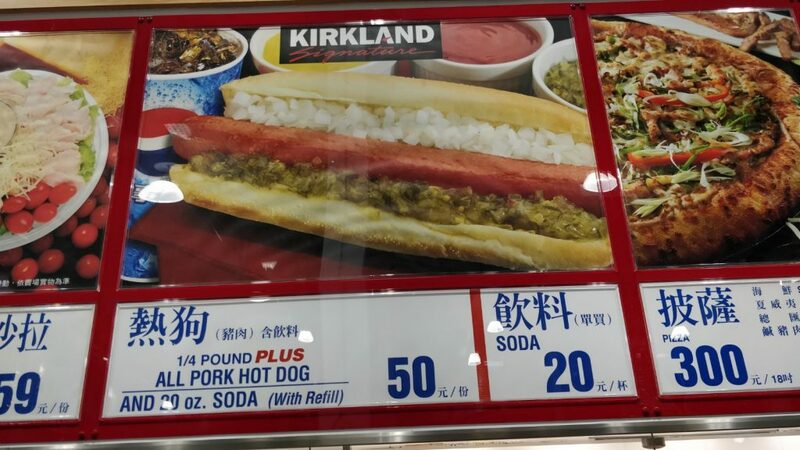 The cheap $1.50 hotdog plus soda is available. Notice it’s a pork hotdog here. I swear it’s all beef in US. I was too hungry to take a pic before chomping down. In addition to the Chicken Bake they have a Bulgogi bake. 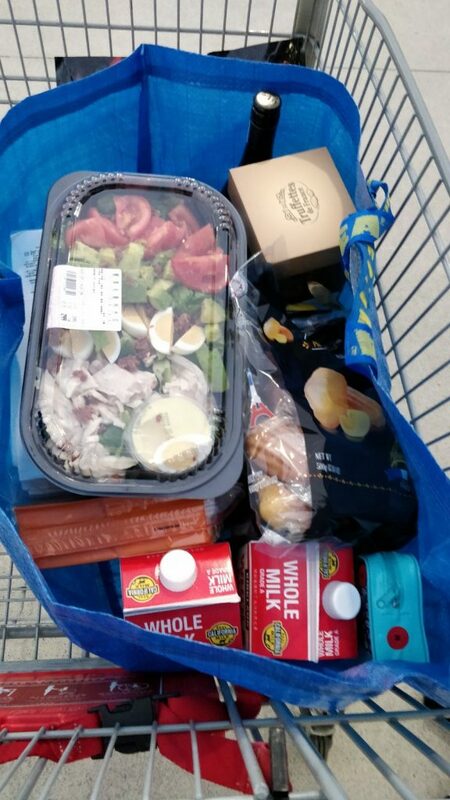 We made off with a decent haul of food which included milk from California. All carried out in a bag from Ikea which also has representation in Taiwan. Nice! 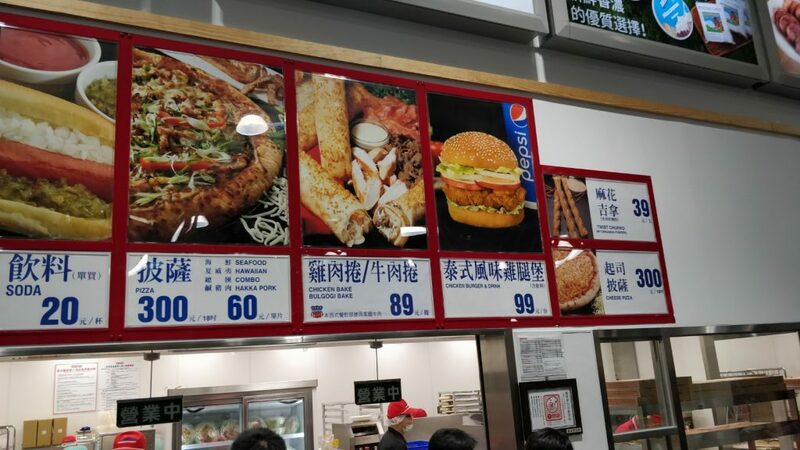 For an American, it’s really comforting to know that Costco is in Taiwan. I can’t wait to visit when I’m there next. I wonder if memberships are cheaper there. 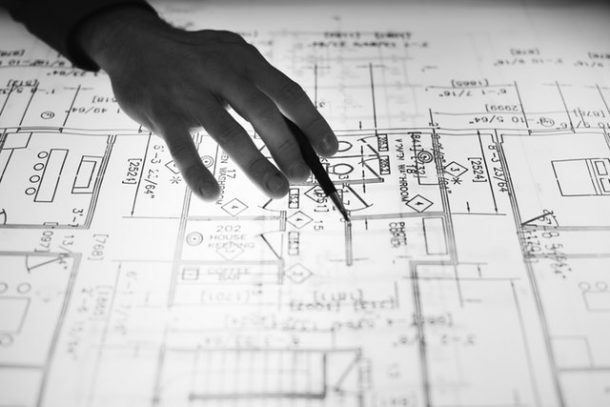 Do American memberships carry over? Yes, American memberships do carry over! 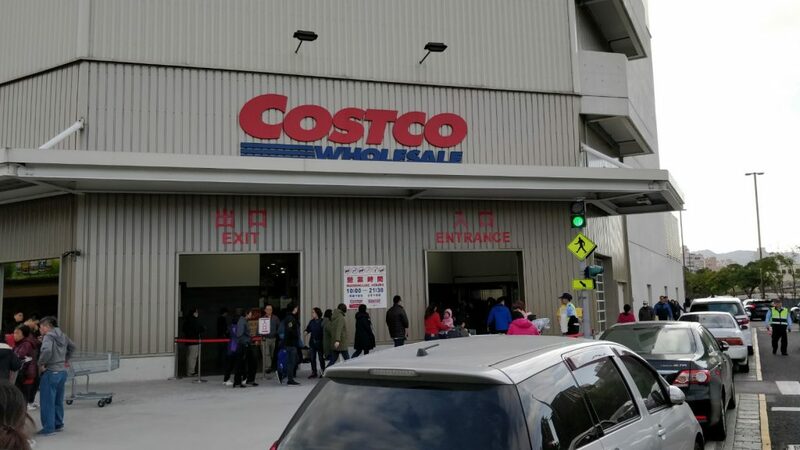 I was able to use my Costco Citi credit card with membership ID on the back to make our purchases. 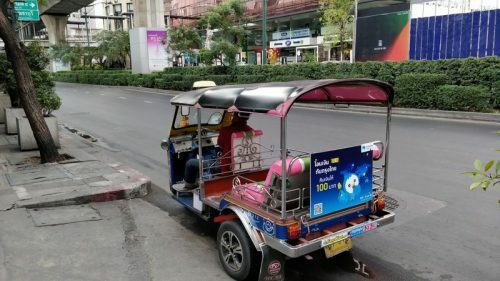 The price for a new membership was listed as $1,150 NT for business member and $1,350 for Gold star member which exchanges to about $37 and $43 US respectively. 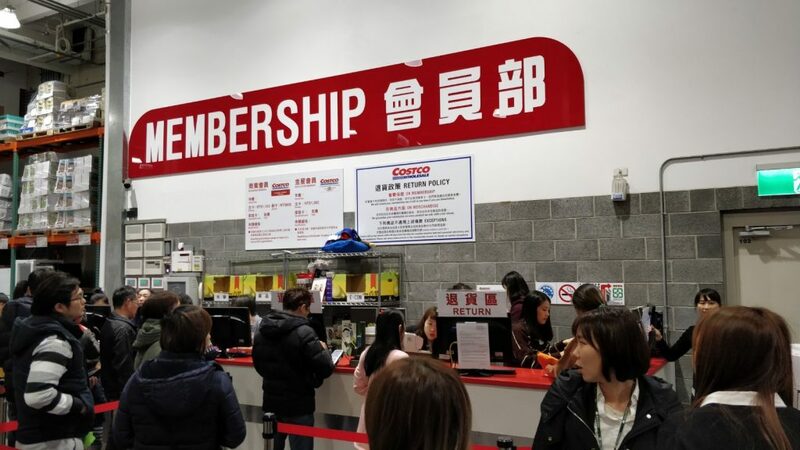 Does that work in the opposite direction, and can foreigners get memberships in Taiwan? That’s a good question. I suspect there might not be reciprocity with a the Taiwanese membership to USA but I could be wrong. 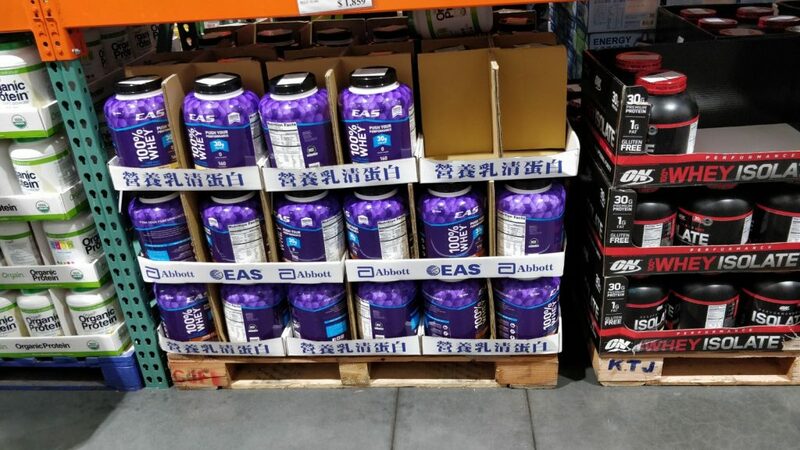 I would check with Costco to find out for sure. 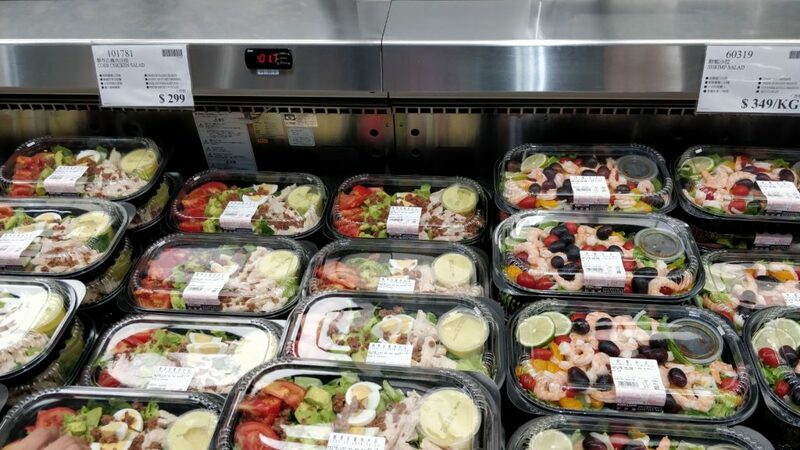 I get the same sadness – which is why I always patronized Carrefour instead of CostCo just for diversity sake – we don’t have Carrefour in the US. Sadness in terms of the ever reaching Western footprint? I hear you. Carrefour originates from France right? I do remember my first time setting foot in a Carrefour in Taoyuan, Taiwan. A nice place. 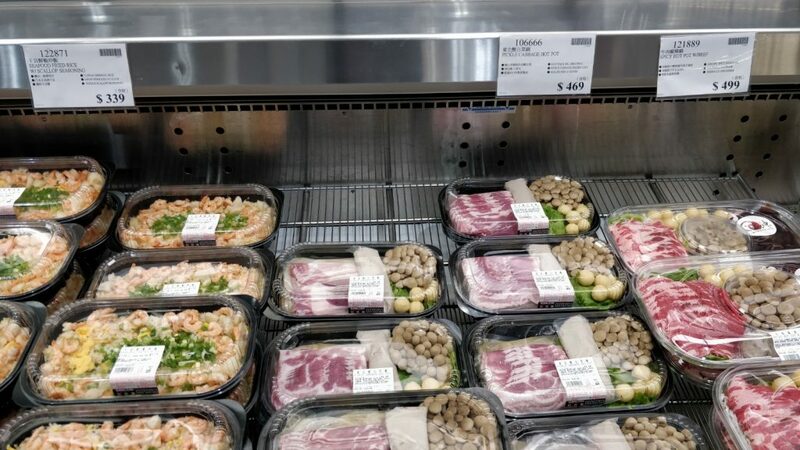 The Carrefour’s I’ve shopped in in Taipei were kinda dirty… reminded me a lot of KMart in the US, narrow aisled, dirty floors, overstocked shelves… not very inviting. (Also kinda reminded me of Walmart in Beijing). And yeah, Carrefour is a French department store. Carrefour’s might sometimes be a bit dingy but there was something about the vibe of a Carrefour that I like. It might be because it was the very first place I really even set foot in Asia. I was a late night arrival around 3 AM or so and a coworker walked with me to Carrefour so I could pick up a towel and shower supplies. Haha the ikea bag. 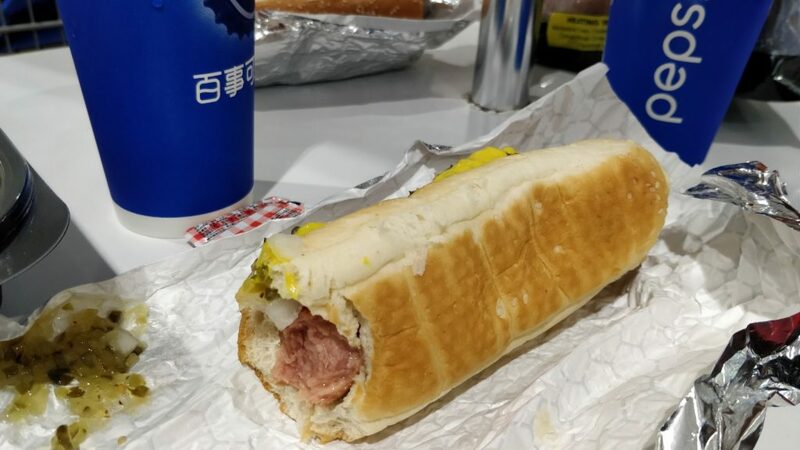 I could use a $1.65 hot dog and soda right NOW! Ha ha. My last contract job was right next to a Costco. I would hit them up for the lunch combo. Sometimes I just raided the samples.